On May 18, EPGP hosted Mr. Haragopal Mangipudi, Fin-tech entrepreneur and Chief Evangelist at finUNO, the world’s first multimodal intelligent financial assistant. The Infosys veteran, largely credited with the success of Finacle, is an IIMB alumnus who still enjoys visiting the campus to “calibrate his intellectual compass”. Speaking to us about his entrepreneurial journey, he compared our careers to a pentathlon – highlighting the need to possess different skill sets at different phases. Drawing from his personal experiences, he gave us valuable insights into product management, customer satisfaction, and leadership. He concluded the seminar explaining the power of three questions that helped him unlock the potential of his teams: What do you think? Why not? What next? On May 24, Mr. Karthik S.A, Founder, Quasar Legal, gave us a guest lecture on “Startups and Corporate legal diligence”. We got a first-hand understanding of the legal nuances involved in doing business in India, more so in the context of ‘Startup India’ initiative. The legal expert shared his perspectives on the entrepreneurial ecosystem, VC rights, and shareholder agreements. On the following day, Dr. Kalyan C. Kankanala, Managing Partner, BananaIP, educated us on “IPRs and Licensing”. The multi-talented IP attorney captivated us with his easy-to-grasp style of delivery and in-depth legal knowledge. These interactive sessions helped us relate to ongoing legal battles between industry leaders and laid a perfect foundation upon which our professor of Business Law built further class discussions. On May 25, Mr. Sanjay Manaktala, popular stand-up comedian, showcased his witty humour and business acumen in a seminar organized by EPGP. When he spoke about connecting with customers, keeping up with trends, continuously refining deliverables, and promoting offerings aimed at a niche segment, it felt like an extension of our curriculum. Of course, he effortlessly had us cracking up now and then – but the focus was on the latter part of ‘funny business’. 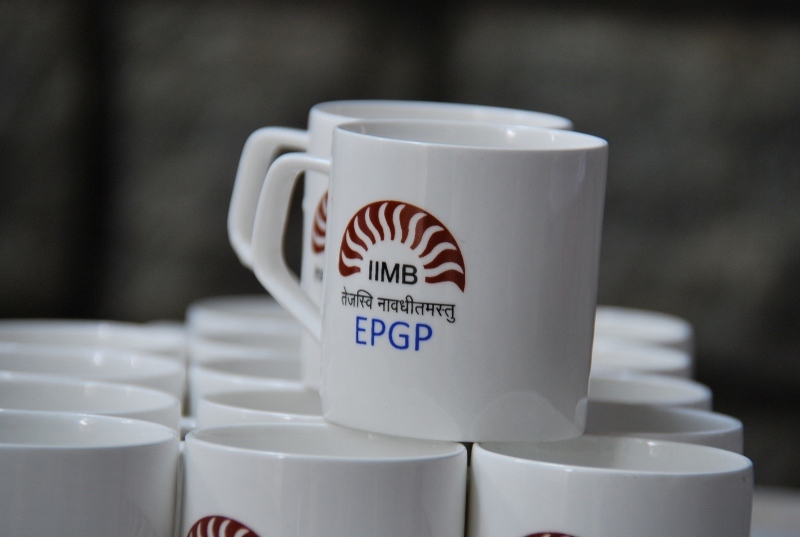 On Jun 15, Dr. Sibichen Matthew, Policy and regulatory specialist, author of the popular book ‘When the boss is wrong’, shared his perspective on ‘Intelligent leadership’ in a seminar organized by EPGP. Generously citing real-life examples all around us, he walked us through the pitfalls of people mismanagement, symptoms, and remedies. Explaining his unique ‘bottom up’ learning approach for management, he gave us tips on how to be effective, inspirational leaders for tomorrow. Slowly but surely, this two-and-a-half months of EPGP experience has changed my world: Shopping isn’t the same anymore; it is a visit to a large format retail store where I experience product placements, promotions, price discriminations and plans to erode my consumer surplus. Whether it is a restaurant or a movie hall, I find myself exploring the connection from the business’s motto, location, and pricing to the way I am greeted, seated and served. I even suggested to my wife about scientific management’s ‘one best way’ for dosa making. If you think that was courageous, wait until I attempt to debottleneck some of her culinary processes. And yes, as it should be apparent by now, I have yet to study risk quantification and mitigation.